A good design of a house will incorporate the natural ventilation as much as possible to reduce the electricity bill as well as the conservation of the environment. However, it is inevitable that suitable fans will have to be installed to ensure that the air quality in the house is fresh and safe for the people to stay. The amount of air that needs to be ventilated is determined by the size of the space measured using the air volume. Different space will need different ventilation system. For instance, it is recommended that the kitchen should have an air change of 12 per hour. 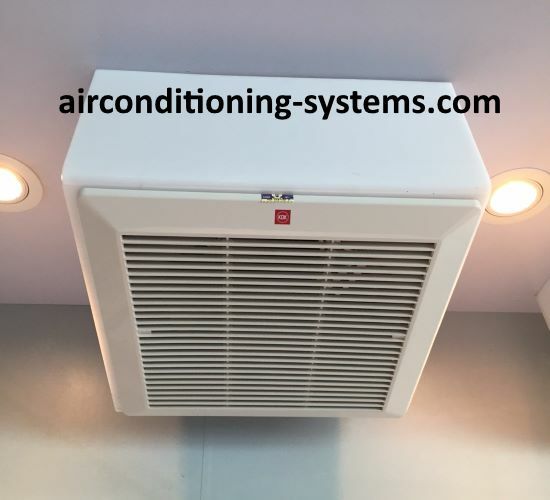 If the volume of the kitchen is 5,000 cu feet, a fan with a capacity of 5,000X12=60,000 cu foot/hour(which is equivalent to 1,000 cfm) is required to have an air change of 12 per hour. Cfm is cubic foot per minute and is usually specified in the specifications of the fan. The table below shows a typical recommended air changes/hour. However, always check with your local regulators on the design requirements during the design stage. Here are some ventilation fan applications that you may encounter in your everyday life. The kitchen fan in the house is usually small in size and is usually a propeller fan that is mounted on the window or wall of the kitchen. For wall mounted type, you will need to make a hole on the wall of the kitchen when you build or renovate your house. There are many types of propeller fans in the market, hence it is always a good idea to source for a suitable fan with proper specifications. The attic fans are used to draw in outside air to the house during summer nights when the outside air temperature is lowered than the inside of the house. In this way, the internal house is cooled without utilizing any air conditioners. The use of fans to cool the house in this way lowers the operating cost by using the cool air from the outside. Propeller fans are usually used with a cfm that give a minimum of 2 air changes per minute. Ducting work connecting a few rooms to a centrifugal fan can also be done. This type of fans have cfm capacities up to 80,000 and are used in places such as factories to remove hot or corrosives fumes. Duct work need to be done for hood application. When choosing suitable fans for your application, take into consideration the following factors. Install the fans on rubber or other absorbent to prevent the noise generated by the fan being transmitted into the house. The location of the fans are also critical to ensure that they do not emit too much noise in areas such as the living rooms and bedrooms. 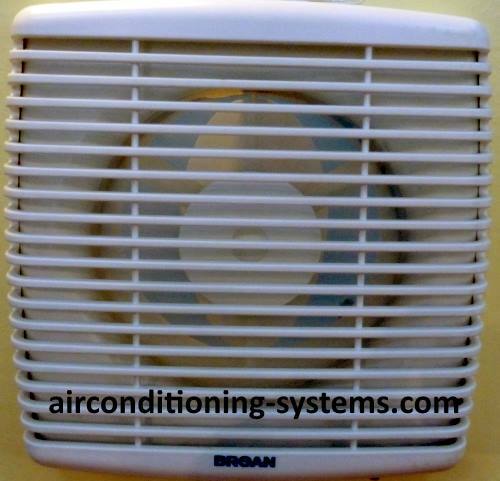 Ensure you do a calculation on the air changes per hour and select proper fans. If necessary, consult a qualified engineer to do this. Here are some parameters that you will want to look for when choosing a suitable ventilation fan. Power Consumption(W) - This is the power input of the fan which will determine the electricity consumed. Current(A) - This is the current consumption of the fan. Air Volume(cfm or cubic meter/hour) - This is the most important parameter that you should look out for. You will need to calculate the cfm requirements of the space to be ventilated and find the most suitable fan. Fan Speed(RPM) - This is the revolution per minute of the fan. Sound(dB) - This is a measurement of the sound emitted when the fan is operating. Different manufacturers will have different values. Look for a lower dB if sound is your main consideration during its operation. Net Weight(kg) and Installation opening - Use these parameters when making the mounting hole of the wall.